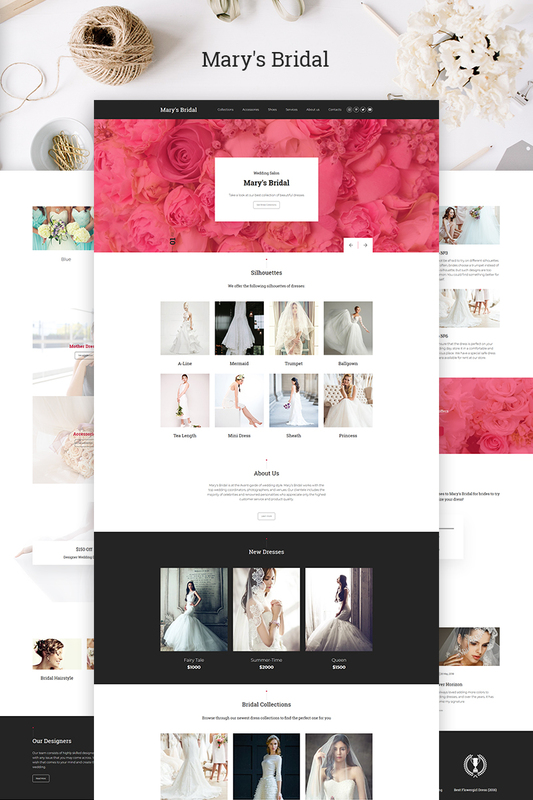 Weblium Wedding Salon Website Template is just a great tool for bridal shops of any scale that understand that a website is the next, crucial step for their business growth. Our deep expert niche analysis helped us to define 6 pages and 57 blocks that will make your website work successfully. In order to create a website for free, you just need to choose the template design, change some items according to your preferences, add your content, click Publish button and start increasing your customer base! Our site building technology is a tandem of a modern website builder and a web-development studio so you can get a perfect website for your business within an hour, and this site will exceed your expectations. Just sign up and start to create a website using our simple Weblium editor. Use the great advantages of our AI Design Supervisor, that will control all the changes you make on the template and give you helpful recommendations. With the Smart UI Kit, it is extremely easy to change the design schemes (including color palettes and fonts) in a single click. The good news is that your new website will load fast (scoring 90-100 in Google PageSpeed Insights) and respond to all existing devices by default!